На основі розв’язку рівняння переносу розглянуто процес геліосферної модуляції інтенсивності галактичних космічних променів. Проаналізовано просторово-енергетичний розподіл космічних променів у сучасну епоху і у минулому. Показано, що у далекому минулому значення концентрації та густини енергії космічних променів у Сонячній системі були суттєво меншими за сучасні значення. Особливо сильно модуляція інтенсивності космічних променів у ранній геліосфері виявлялась для частинок низьких енергій. 1. Березинский В. С., Буланов С. В., Гинзбург В. Л., Догель В. А., Птускин В. С. Астрофизика космических лучей. — М.: Наука, 1984.—380 с. 2. Долгинов А. 3., Топтыгин И. Н. Многократное рассеяние частиц в магнитном поле со случайными неоднородностями // Журн. эксперим. и теор. физ.—1966.—51, вып. 6.—С. 1771—1783. 3. Долгинов А. 3., Топтыгин И. Н. О диффузии космических лучей в межпланетной среде // Геомагнетизм и аэрономия.—1967.—7, № 6.—С. 967—973. 4. Дорман Л. И. Экспериментальные и теоретические основы астрофизики космических лучей. — М.: Наука, 1975.—464 с. 5. Колесник Ю. Л., Шахов Б. А. Влияние гелиопаузы и стоячей ударной волны на распространение галактических космических лучей в стационарной модели гелиосферы // Кинематика и физика небес. тел.—2012.—28, № 6.—С. 3—16. 6. Паркер Е. Н. Динамические процессы в межпланетной среде. — М.: Мир, 1965.—362 с. 7. Топтыгин И. Н. Космические лучи в межпланетных магнитных полях. — М.: Наука, 1983.—302 с. 8. Федоров Ю. И. Модуляция интенсивности галактических космических лучей в турбулентной гелиосфере // Кинематика и физика небес. тел.—2015.—31, № 3. —С. 3—22. 9. Шахов Б. А., Колесник Ю. Л. Итерационный метод решения краевых задач теории распространения космических лучей // Кинематика и физика небес. 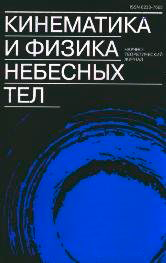 тел.— 2006.—22, № 2.—С. 100—108. 10. Cleeves L. I., Adams F. C., Bergin E. A. Exclusion of cosmic rays in protoplanetary discs: Stellar and magnetic effects // Astrophys. J.—2013.—772, N 1.—id. 5 (20 p). 11. Cohen O., Drake J. J., Kota J. The cosmic ray intensity near the archean Earth // Astrophys. J.—2012.—760.—P. 85. 12. Dorman L. I., KatzM. E., Fedorov Yu. I., Shakhov B. A. Variation of cosmic-ray energy in interplanetary space // Astrophys. and Space Sci.—1983.—94.—P. 43—95. 13. Gleeson L. J., Axford W. I. Solar modulation of galactic cosmic rays // Astrophys. J.—1968.—154.—P. 1011—1026. 14. Gleeson L. J., Urch I. H. A study of the force-field equation for the propagation of galactic cosmic rays // Astrophys. and Space Sci.—1973.—25.—P. 387—404. 15. GleesonL. J., Webb G. M. Energy changes of cosmic rays in the interplanetary region // Astrophys. and Space Sci.—1978.—58.—P. 21. 16. Goldstein M. L., Ramaty R., FiskL. A. Interstellar cosmic ray spectra from the non-thermal radio background from 0.4 to 400 MHz // Phys. Rev. Lett.—1970.—, N 21.— P. 1193—1196. 17. Guinan E. F., Engle S. G. The Sun in time: age, rotation, and magnetic activity of the Sun and solar-type stars and effects on hosted planets // The ages of stars: Proc. IAU Symp. N 258 / Eds E. E. Mamajek, D. Soderblom. — Cambridge: Cambridge University Press, 2009.—12 р. 18. Guo X., Florinski V. Galactic cosmic ray modulation near the heliopause // Astrophys. J.—2014.—793.—id. 18 (12 p.). 19. Johnstone C. P., Gudel M., Brott I., Luftinger T. Stellar winds on the main sequence // arXiv:1503.07494 [astroph.].—2015. 20. Moraal H. Cosmic-ray modulation equations // Space Sci. Revs.—2013.—176, N 1-4.—P. 299—319. 21. Parker E. N. The passage of energetic charged particles through interplanetary space // Planet. and Space Sci.—1965.—13, N 1.—P. 9. 22. Perko J. S. Solar modulation of galactic antiprotons // Astron. and Asrophys.—1987.—184, N 1.—P. 119—121. 23. Potgieter M. S. Sol ar modulation of cosmic rays // Liv. Rev. Solar Phys.—2013.—10.—P. 3—66. 24. Potgieter M. S. A very local interstellar spectrum for galactic electrons, protons and helium // Proc. 33-rd Int. Cosmic Ray Conf. — Rio de Janeiro, Brasil, 2013, Highlight Talk, icrc2013-1300. 25. Potgieter M. S., du Strauss R. T. At what rigidities does the solar modulation of galactic cosmic rays begin? // Proc. 33-rd Int. Cosmic Ray Conf. — Rio de Janeiro, Brasil, 2013.—icrc2013-0156. 26. Ptuskin V. S., Volk H. J., Zirakashvili V. N., Breitschwerdt D. Transport of relativistic nucleons in a galactic wind driven by cosmic rays // Astron. and Asrophys.—1997. —321, N 2.—P. 434—443. 27. Schlickeiser R. Cosmic ray astrophysics. — Berlin: Springer, 2002.—519 p.
28. Shaviv N. J. Towards a solution to the early faint Sun paradox: A lower cosmic ray flux from a stronger solar wind // arXiv:0306.477[astroph.].—2003. 29. Sterenborg M. G., Cohen O., Drake J. J., Gombosi T. I. Modeling the young Sun’s solar wind and its inetaction with Earth’s paleomagnetosphere // J. Geophys. Res.—2011. —116.—P. A01217. 30. Suzuki T. K. Evolution of solar-type stellar wind // arXiv:1301.2359[astroph.].—2013. 31. Svensmark H. Cosmic rays and the evolution of Earths climate during the last 4.6 billion years // Astron. Nachr.—2006.—327.—N 9.—P. 871. 32. Urch I. H., Gleeson L. J. Galactic cosmic ray modulation from 1965-1970 // Astrophys. and Space Sci.—1972.—17.—P. 426—446. 33. Usoskin I. G., Alanko-Huotaki K., Kovaltsov G. A., Mursula K. Heliospheric modulation of cosmic rays: Monthly reconstruction for 1951—2004 // J. Geophys. Res.— 2005.—110.—P. A12108. 34. Webber W. R., Hiegbie P. R., McDonald F. B. The unfolding of the spectra of low energy galactic cosmic ray H and He nuclei as the Voyager 1 spacecraft exits the region of heliospheric modulation // arXiv:1308.1895[astroph.].—2013. 35. Webber W. R., McDonald F. B. Recent Voyager 1 data indicate that on 25 August 2012 at a distance of 121.7 AU from the Sun, sudden and unprecedented intensity changes were observed in anomalous and galactic cosmic rays // Geophys. Res. Lett.—2013. —40.—P. 1665—1668. 36. WoodB. E., Muller H.-R., Redfield S., Edelman E. Evidence for a weak wind from the young Sun // Astrophys. J. Lett.—2014.—781, N 2.—id. L33 (5 p.). 37. Wood B. E., Muller H.-R., Zank G. P., Linsky J. L. Measured mass-loss rates of solar-like stars as a function of age and activity // Astrophys. J.—2002.—574, N 1.— P. 412—425.